Free Munchins from Dunkin Donuts and Postmates Today! 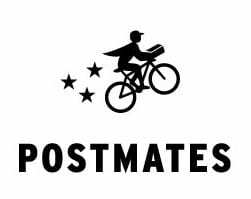 The new delivery-on-demand app Postmates launched earlier this month in Boston. Today Postmates will deliver a FREE box of Munchins (25 count) with free delivery to you until 6pm on Friday, July 11, 2014. Once you open the app, head to featured stores tab and you will see the Free Dunkin Donuts On-Demand right at the top. Postmates also expanded their delivery zones to include Allston, Brighton, Brookline, Chestnut Hill, Jamaica Plain, Somerville and Charlestown. Postmates also delivers to Downtown Boston, Back Bay, North End, South End, South Boston and Cambridge, so if you are in the above areas you can receive a free delivery of Munchins today! For more information about this free Dunkin Donuts promotion, please head here or head here to download the app. Also, new users can also enter promo code ux89 for a free $10 credit (under the promo code tab on the app) when you sign up with my referral code (thank you!! ).